Want to Improve Your Memory? Strengthen Your Limbic System. Over a lifetime, your brain will hold a quadrillion pieces of information. However, you can only hold up to seven at a time and only for 20 seconds. Fortunately, there are ways to boost your memory, but you need to understand how the brain works. The limbic system, which contains the hippocampus, is essential for retaining and recalling information. It requires a nutritious diet and plenty of exercise to function properly. Keeping it strong will improve your memory so that you can perform tasks more efficiently and retain strong mental faculties well into old age. Every time you learn a new skill, it needs to be stored in memory. Otherwise, it is useless. If you want to succeed in relationships or at a career, then having a good memory will help you a long way. It means that you don’t have to waste time relearning the same information and you can focus on building your skill set. It will also decrease the risk of age-related memory conditions. Dementia and Alzheimer’s are incredibly common, but prevention is possible. If you keep your mind healthy and active, by regularly stretching your memory, you will retain your cognitive abilities for longer. Diet is everything when it comes to a healthy mind. This incredible machine in your head requires a high concentration of nutrients to function correctly. This means having plenty of fresh produce each day. Five servings is a recommended minimum, but aim closer to ten. The antioxidants in dark green vegetables and tropical fruit will protect your memory center from harmful toxins. Saturated fats have been correlated with neurological disorders, so cut out red meat, dairy, and fried food. Instead, consume plenty of omega-3. This is found in oily fish, including mackerel, cod, and salmon. Walnuts, chia seeds, and egg yolks are also densely packed with omega-3, so increase your intake of these foods for a healthy limbic system. There are a number of brain exercises you can engage in to keep your mind stimulated. Like any muscle, exercise is important, but growth happens during rest. This means doing puzzles such as sudoku, which require you to hold multiple pieces of information simultaneously. However, it also means giving the brain a break. Memories are strengthened during sleep, so make sure you get a good night’s rest. Take a break from your smartphone and try meditating instead. This rest time is just as valuable as time spent exercising your mind. It will also help to lower negative emotions such as anxiety, by calming the amygdala. This, in turn, will help to strengthen your brain’s ability to retain information, since it won’t be focused on potential threats. Maintaining a strong memory requires an understanding of how the brain works. Care for your limbic system and cut out anything that is damaging. Replace saturated fats with plenty of fruit, vegetables, and omega-3. Keep your mind active, but use sleep and meditation to consolidate those memories. 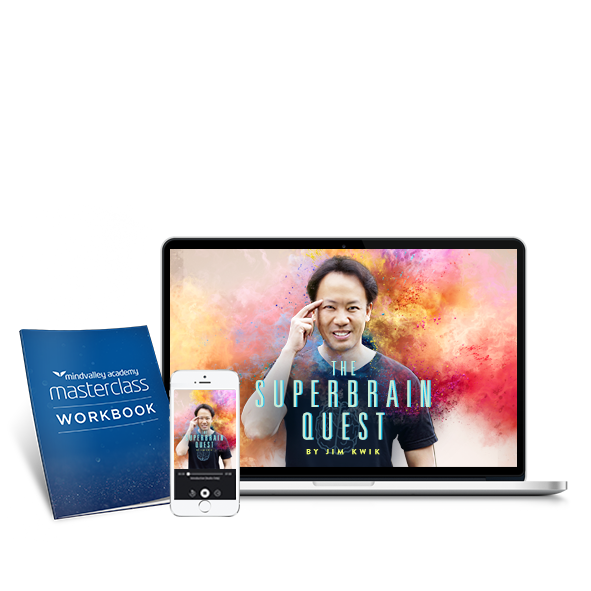 Learn how to boost your memory and brain performance in a matter of minutes in this FREE masterclass. Jennifer Altman is a freelance writer and editor. After a career in PR she took the plunge into freelance life 5 years ago and has never looked back. She loves writing full-time but when not working she enjoys hiking, swimming and getting abroad with her family as much as possible. Next PostGrowing Craze of Ketogenic Diet: Is it a Healthy Diet?